Serena: Hi all – What a busy week it has been – Me and my friend have seen a bit of the UK over the past 2 weeks where we have been lucky enough to attend the Tracy Chapman shows at Edinburgh, Manchester, London X2 and Birmingham. The site owner has done a great job of reviewing the performances from Edinburgh, Manchester and London and here is mine from the NIA in Birmingham. 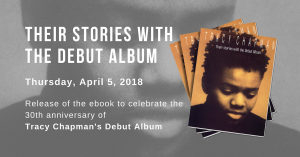 It was a 2.5 hour drive for me and my friend to get to Birmingham, however, it was well worth the car ride – in fact we were both a little sad as we knew it would be last show we’d see of Tracy Chapman until her next tour. I was very impressed with the NIA in Birmingham and it seemed to be a great deal larger than the halls in Edinburgh, Manchester and London. A mini arena so to speak with only 3 blocks on the ground floor in front of the stage. I was lucky enough to be sat on row 8 and the view was perfect – been closer to the stage at the previous shows but it was great to be able to take a liitle more of the stage in. Security was ‘hot’ getting in. The ladies had their bags searched being checked for cameras etc. I was a little edgy as my friend has taken his taping set up to record the show – but luckily we got the recorder in with no problems like we had at the other shows from the UK. Cherif Mbaw was the opening act – he was good but took a little getting used to – he could also only speak a little English so it was terribly difficult for him to get the audiance involved when he addressed them. Around 21:05 Tracy enters the stage with her usual blue jeans and navy t shirt – looking great as always though. Be And Be Not Afraid was again the highlight to me from this performance – very similar to the performance of this song that she did in Edinburgh (Edinburgh’s performance of this song was fantastic). House of The Rising Sun was outstanding, for the last 40 seconds or so of this song Tracy performed this like Behind The Wall with no music. Tracy’s arms were spread out at either side as she started ‘There is a house……’ breathtaking. Again the song with the most requests was ‘The Promise’ I thought it was a pitty that a different song wasn’t chosen by the fans as Tracy always performs The Promise – well almost always! Another Sun was again a fantastic performance – this song has been performed differently at all of the UK shows. Loved America also – with Tracy Chapman playing the drums with the lights on her creating a large shadow of her on the wall behind. The ending of the Birmingham show was different to all the others. Tracy perfomed Talkin’ Bout A Revolution then went off stage. Tracy then came back after the audience gave her the greatest of receptions. Tracy then performed Give Me One Reason then went off stage AGAIN. By this time a lot of the audiance had started to leave the auditorium, however, I just knew that she would be back! And back Tracy came to perform ‘Stand By Me’ – Everybody moved down to the stage and I can only say that the performance of Stand By Me was breathtaking. Like in Manchester Tracy did not introduce her band – and today there had been no technical difficulties! To say security was so hot getting in – there were lots of people taking photos and this wasn’t being picked up by security. + Like the site owner staed Be And Be Not Afraid – when performed in Edinburgh was simply brilliant. + Was brilliant to hear Subcity in Edinburgh – Tracy is one talented woman being able to play the harmonica (braced over her head), guitar and sing during the same song. + 3,000 Miles in London was performed brilliantly in my eyes – I’m sad that she didn’t perform this more often. + Tracy singing ‘The Promise’ solo – still shows that Tracy could perfom live solo – This would be a treat and I hope she does it sometime in the future. If anybody attends any of the shows from this tour you’re in for a treat. Anna Holdsworth, 23 yrs old, Warwickshire, UK: I went to see Tracy Chapman at the NIA in Birmingham (UK) on 13th Nov 2005. It was definitely the best concert I have ever had the privilege to attend. I have been a huge fan of Tracy’s for many many years, but this was the first time I’ve been able to get tickets to see her. I knew I was in for the night of my life when she came on stage in near darkness, strapped on her guitar, gave the guitarist a nod and kicked off the opening bars of Why as the lights flashed up and the crowd went wild. The adrenaline that pulsed through the National Indoor Arena was palpable; and the energy that came from the stage could have only been emanated from such a seasoned professional. I was concerned that the tour was going to be a hard push of the new Where You Live album, but I was pleased to hear the age-old classics such as Baby Can I Hold You and The Promise. Before arriving at the NIA I placed bets with my friend as to what she would choose as her encore, and I thought it would have to be Fast Car… but then half way through the evening she scuppered my chances of a win by picking those haunting opening notes on her guitar, to a grateful and completely awe struck and adoring audience. The night continued with renditions of new tracks Change, Talk To You and a the stomping ‘anthemic’ America from the new album and concluded with not one, but two encores- Give Me One Reason, and (later, after a large chunk of the crowd had left) a fantastic cover of Stand By Me. I really feel from the years of listening to her music that I really knew her- the emotion in her vocal is so strong that you can’t help but feel her happiness and sympathise with her pain and anger. Sitting in the NIA it was clear that everyone felt the same. It was different from any other concert I have been to- which have included music greats such as Van Morrison, Peter Gabriel, Madonna etc- and I think it is because of the respect the audience gave Tracy. There was the odd heckle but it was as though everyone there was so pleased and grateful to be sharing the evening with her, I really felt I was in the presence of someone very special. True greatness. Her music has helped me through heartaches, cancer, my father’s death and so much more and I will be forever grateful to her for everything and everyone her music helps and touches. THERE are some acts that thrive in an arena environment and others best kept to smaller venues. While Tracy Chapman had no problems selling out a venue the size of the NIA Academy, those of us who have seen her in smaller spaces felt the difference. Ms Chapman’s strong vocals and powerful lyrics held us all in thrall, but the dreadful acoustics and over-long pauses in between tracks meant this concert was not quite what it could have been. Promoting her latest album Where You Live, she played new songs such as Change and America, but also plenty of crowd pleasers like Baby Can I Hold You, Fast Car and Talkin ‘Bout a Revolution. There were surprises when she gave a spirited cover of The Animals’ House of the Rising Sun and an acoustic The Promise. Concluding with a revved up version of Give Me One Reason, Chapman showed she can do songs which suit a venue like the NIA. But let’s hope that next time she finds somewhere which does justice to her talents.